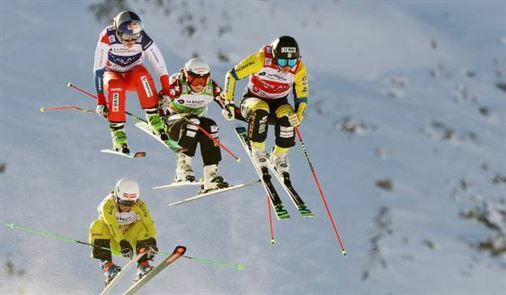 On Jan.22 Alpine Canada announced the ski cross team. Top Canadian finishers at the weekend races, Kevin Drury and Kelsey Serwa, (both finished fourth) made the team. Also on their way to PyeongChang, South Korea are Chris Del Bosco, David Duncan, Brady Leman and Ian Deans. For the women, India Sherret, Marielle Thompson and Tiana Gairns will join Serwa. The best of times and the worst of times. Depending on which of Canada’s ski cross Olympic hopefuls you ask the weekend races at Nakiska, west of Calgary, either were the culmination of four years of hard work or a massive disappointment. The world cup race was the last before Olympic team selections and one of Canada’s stars took a hard crash that took her out of the running. With an especially deep ski cross team to choose from several great skiers went home from Nakiska disappointed. None more so than Georgia Simmerling. Thought to be a safe bet for the Olympic team, she took a hard crash in the semi-final race at Nakiska and broke both her legs. She underwent surgery over the weekend.